Staples ripped my heart out today, and my reaction came out of nowhere and blindsided me. They rearranged things! The kitchen things are where the paper was. I was horrified. I felt like I'd been sucker-punched. Things didn't stay in the same place they were when you and I went shopping together. Isn't the whole world supposed to remain unchanged since the moment of your death, in honor and memory of you? At some level, that seems to be what I expected. As we've said before, I can be as illogical as anybody else when I put my mind to it. 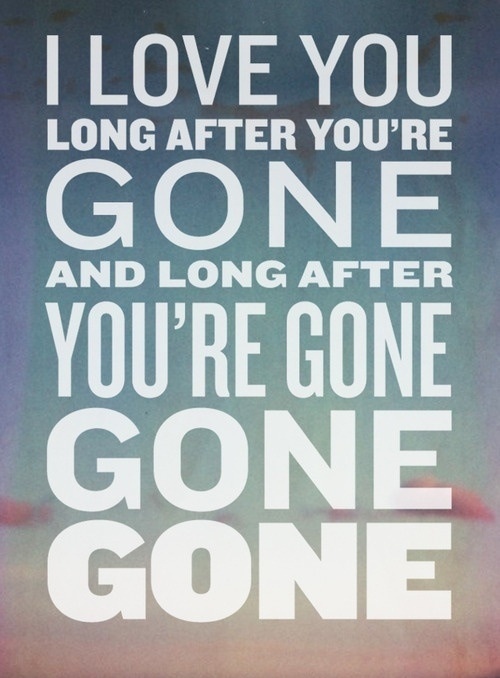 There's a song by Phillip Phillips called Gone, Gone, Gone. The words could be sad, but they're not. It's a very upbeat song. "Baby, I'm not moving on. 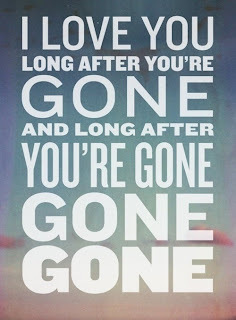 I'll love you long after you're gone." And that's what I want to say to you tonight. No matter where Staples puts things, even if the pens are on the roof and the printers are in the parking lot, I'm not moving on. I'll love you forever. You're stuck with me. There are some things that even death can't get you out of. You promised "until death do us part." Well, I'm here to tell you that death isn't parting us. We were sacramentally united and I'm here to stay. So there.